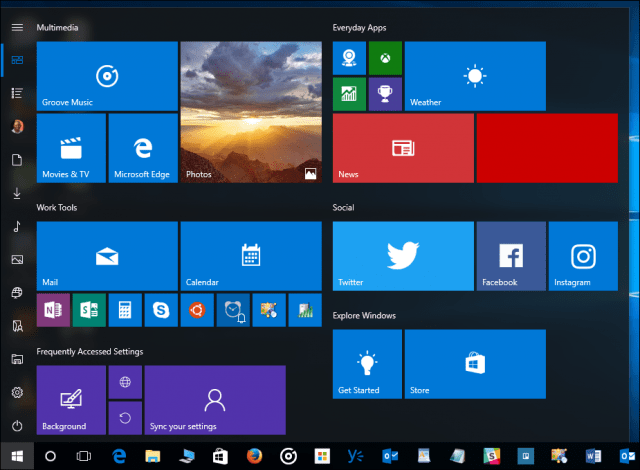 The Windows 10 Start Menu has brought some mixed feelings among users. In my opinion, I’m glad they got rid of the full screen menu like they had in Windows 8 and Windows 8.1. The good news is that in the upcoming Windows 10 Creators Update, you’ll have a little more control over your Start Menu, and you can even customize it enough to get rid of the tiles if you wish, which will make it resemble the Windows XP and Windows 7 start menus. 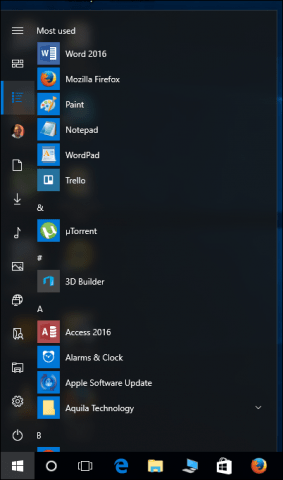 You can also hide the All Apps list in the Start Menu if you prefer the Live Tiles. Go to Start Settings > Personalization. Select the Start tab on the right. Toggle on the option Hide app list in Start menu. Now, when you click the Start, your list of apps is hidden, while a tab for All apps now appears at the top of the menu. When you click the All apps tab, you will see a list of all installed apps, but a big difference is that your pinned tiles on the Start are hidden from view. 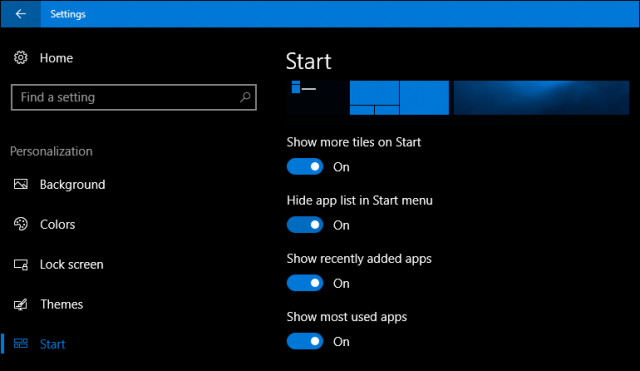 If you prefer this view, then you can manually unpin all of your tiles from your Start Menu and resize it. As Microsoft continues to release upgrades to Windows 10, hopefully we’ll continue to see more customization options that will let us tweak the interface to our liking.